Why do people move to Nicaragua? Some want to live in nature and Nicaragua has plenty of that: endless beaches, rivers, waterfalls, volcanoes, a huge variety of birds, and plants. Others want to leave the stress of home: never-ending traffic, rushing around, keeping up with the Joneses, and scrambling to pay bills each month. 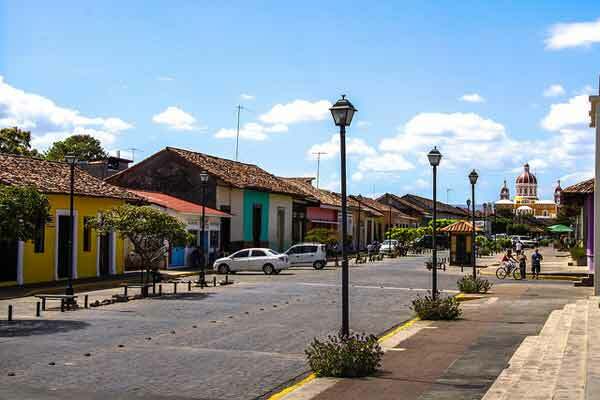 However, probably the biggest reason for moving to Nicaragua is its economical lifestyle. Nicaragua’s lower cost of living does not mean you have to sacrifice the quality of life you have been accustomed to in the U.S. or Canada. In fact, you will probably be able to live in Nicaragua with even more luxuries than you are accustomed to, simply because the prices are so unbelievably low. Many couples live comfortably on $1,500 a month or $1,200 for a single person. A single expat I know lives basically but happily on her Social Security check—$800 a month. Spend $2,000 and you’re living in high style. Renting: You can find a nice “Nica-style” one-bedroom furnished house or apartment for $300 to $400 a month…often a block or two from the beach or with a beautiful mountain view. This house is without air conditioning, but with fans. No pool, but clean, well-located, and in a safe family neighborhood. If you want the amenities mentioned above, you will pay more—perhaps $800 to $1,000 a month for an ocean-view, two-bedroom house or condo with a pool, but that is still a lot less than you would pay in your home country for the same thing. 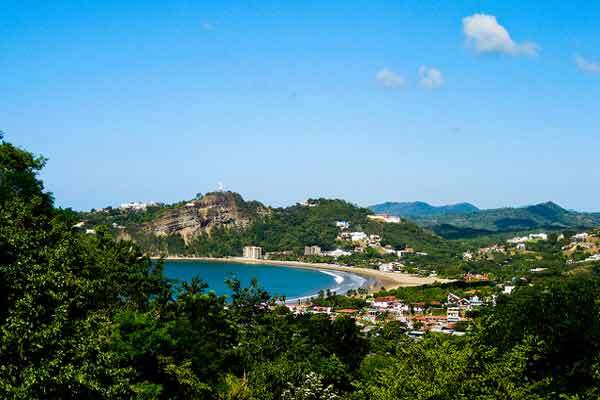 Buying: Now is the time to buy real estate in Nicaragua. 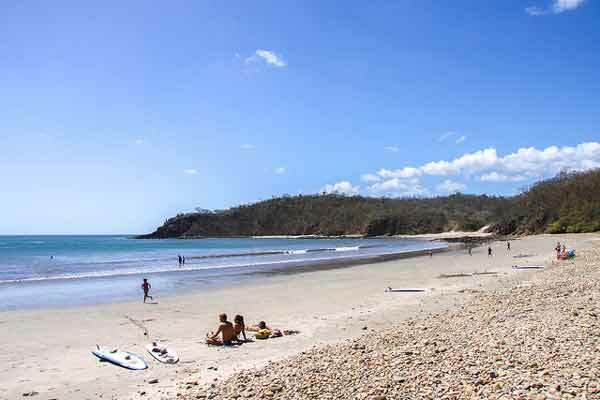 Prices are starting to go up with the announcement of the new Costanero road which will be paved and connect all of the beaches on the Pacific Coast from Costa Rica (opening a new border crossing) to Las Salinas beach—a stretch of 81 miles. Work has already started. You can still buy modest homes and condos with ocean views, often furnished, for less than $100,000 if you hurry. Prices go up as high as you want, depending on amenities. New condo and townhouse developments are on the rise, some that include restaurants, gyms, and small plazas—where you can get your necessities by walking downstairs. You can still find a bargain here for an ocean view home between $150,000 and $260,000. Utility bills: Depending on usage, your utility bills will probably cost between $50 to $75 for electric and water, and $45 and up for high-speed internet. Cable TV runs about $45 per month. No need for heating and many people use fans instead of air conditioning. Personal costs: When it comes to looking after yourself, Nicaragua is very affordable, a haircut with blow-dry will cost about $10 and you can treat yourself to an hour-long massage for $30. For getting around, in-town taxi fares are generally $1 to $2. Eating in: A month of groceries for a couple runs under $300, including fruits and vegetables that cost a fraction of what you’d pay in the U.S. You can get a freshly-caught red snapper for about $3. Pay an extra 50 cents and they will even gut, clean, and scale the fish. Last time I was in New York City, red snapper (frozen) was $34.95 a pound. Fresh fruits and vegetables can be bought for a song and a single person can have what he or she needs for about $10 a week. Chicken, beef, and pork are not only cheaper than back home, but they are not pumped, plumped, or dyed. GMO is not allowed in Nicaragua. Everything you eat here is fresher, better, and healthier. Eating out: Eating out is economical as well. At restaurants in the municipal market you’ll pay just $3 for a complete meal of rice, beans, and chicken, fish, or beef. And a beer at a restaurant is generally $1.25, but some places still charge only $1. While slowly creeping up in cost as more foreigners move to Nicaragua, the prices are still much lower than your home country. Nicaragua-style meals typically range from $3 to $6 in regular restaurants. Fancy seafood dishes may set you back up to $20, but that usually includes a glass of wine, beer, or rum. Entertainment and fun: Most local live music venues are free. Imagine going to hear any type of music you love: rock ‘n roll, blues, jazz, swing, merengue, salsa, Nicaraguan folkloric music, reggae, and more and pay about $1.50 for a beer or rum and coke. Expat-owned restaurants are typically more expensive than Nicaraguan-owned restaurants. You can find trivia nights, contests, discos, and karaoke in every city in the country and most are free. Horseback riding, boating, and fishing cost a fraction of what you’d expect. While you can go deep sea fishing with a fancy outfitter for $450, most of us go out on panga boats (large, motorized rowboats) with the local fishermen with the fishing line wrapped around a bottle or piece of wood. Don’t laugh—for $45 an hour for up to six people, you will be surprised to catch some great fish—yellow-fin tuna, snapper, sea bass, mahi mahi, etc. Services: Expats save big-time for services. A full-time gardener, caretaker, or live-in nanny can cost from $233 a month and up, depending on hours and duties. If you just need your house cleaned or your garden managed once a week, it can cost you as little as $10 to $15 for the day. When you need your car fixed or house repairs done, your cost may be just one tenth of what you would pay for the same service back home. If you crave a painting, dance, or yoga class, you won’t pay more than $10. Saving money: One of the best ways to save money in Nicaragua as an expat is to remember that imported goods (food, household items, clothing, etc.) cost more here than in the U.S. Expats can save a lot of money by buying Nicaraguan products and by adapting to the Nicaraguan lifestyle when possible. Many people save their electronic/tool/appliance shopping for when they visit their home country. Today Nicaragua has all the things you need, but costs can be almost double or triple for some items. Nicaragua allows you to live a higher quality life for much, much less. Your needs and lifestyle will determine exactly how much you will pay. When you think of your dream retirement, most people in the U.S. and Canada say they can’t afford the retirement lifestyle that they always imagined. Well, think again. In Nicaragua you can. Which will it be? A small apartment with cold winters, nagging traffic, financial challenges, and a life full of stress—or a cute, ocean-view cottage with over 300 sunny, warm days, healthy food, and very little stress. It’s your decision.